Did ya hear? 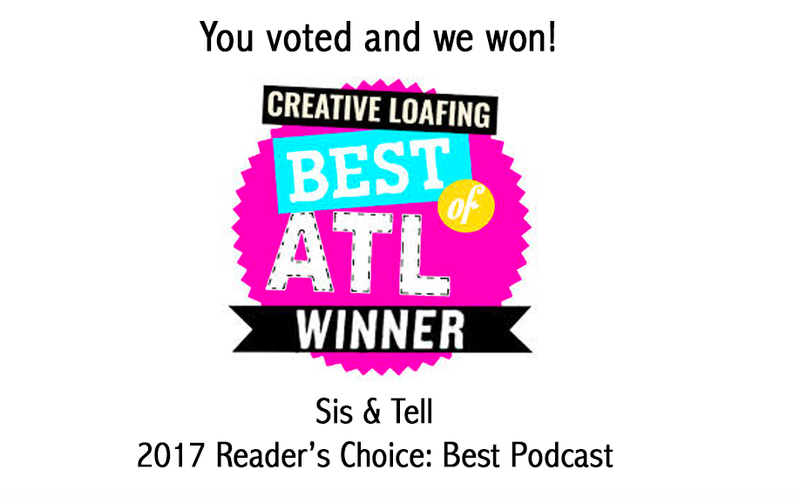 The Sis & Tell podcast was voted "Best Podcast" for Creative Loafing's Best of Atlanta 2017. If you haven't had a chance to listen, my sister Alison Goldstein Lebovitz (host of PBS' The A List) and I host and produce a weekly podcast.